Amassedor von Dunkelberg was our first owned import. 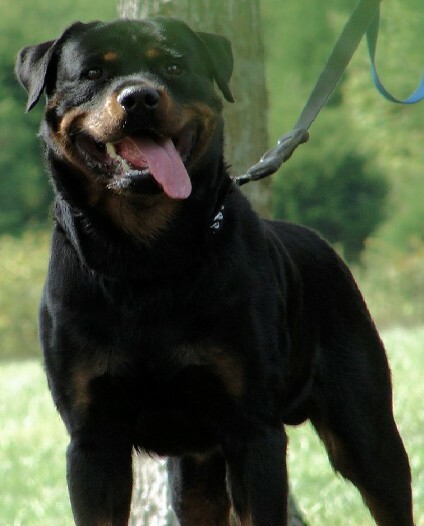 He is one of the most loving and best Rottweilers I owned. Ambassedor loves to make a presence in the show ring. He was a very smart dog and knew when he need to protect you. Amassedor comes from the pairing of DT. VDH CH Odo vom Fleischer and YUGO CH Dunja von der Stadt Titel. Dunja was bred to Odo in Germany and was imported pregnant. Dunja was a very large female with a large head and great conformation.